Businesses are generating more data than ever, but they're placing too much trust in platform providers. Businesses are creating data at an increasing pace, which is generally perceived as a good thing. However, they're placing too much trust in platform providers to keep their data safe, and that's not a good thing. This is the conclusion of a new report by Barracuda Networks, released to coincide with World Backup Day. Based on a poll of 432 IT professionals, the report says that the majority of organisations back up between one and five sites. On the other hand, there are some organisations (eight per cent of them) that back up more than 26 sites, which suggests that there is much room for improvement. Two thirds of organisations (64 per cent) in the EMEA region do not back up their data to the cloud. Roughly half (57 per cent) find it important to keep a backup copy of their data on the cloud. The biggest challenge with backups is the fact that the data is vast, and complex. There are emails, databases, proprietary application data that needs to be managed. Various systems are included, like Windows Servers, File Servers, Linux Servers, VMware, Hyper-V and Desktop/Laptops. That's why a lot of organisations turn towards a single backup provider, as they feel it will give them transparency and visibility. 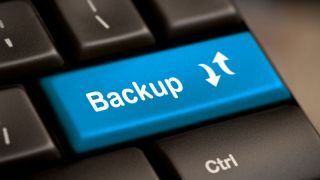 Barracuda Networks suggests that organisations should use the 3-2-1 rule when backing up: make three copies, in two different formats, with one staying offline. Ransomware often targets backup servers, so keeping an offline copy is vital.